Amazon.com Price: $6.00 (as of 2019-04-22 02:14:32 GMT) Product prices and availability are accurate as of the date/time indicated and are subject to change. Any price and availability information displayed on Amazon.com at the time of purchase will apply to the purchase of this product. You are Talion, a Ranger of the Black Gate, keeping watch over Mordor which has remained undisturbed for ages. In the blink of an eye, everything is taken from you – your friends, your family, and even your own life. Resurrected by a vengeful spirit, you must now embark on a relentless vendetta against those who have wronged you. 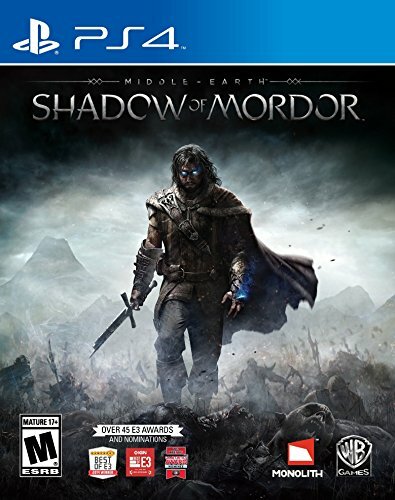 Fight through Mordor and uncover the truth of the spirit that compels you, discover the origins of the Rings of Power, build your legend and ultimately confront the evil of Sauron in this new chronicle in Middle-earth. Harness the Spirit of vengeance to inflict brutal combos while mastering powerful new skills and weaponry. Exploit the individual fears, weakness and memories of your enemies as you dismantle Sauron’s forces from within. Become the most feared force in Mordor in a new chronicle set before the events of the Lord of the Rings. Exploit the individual fears, weakness and memories of your enemies as you dismantle Sauron’s forces from within.